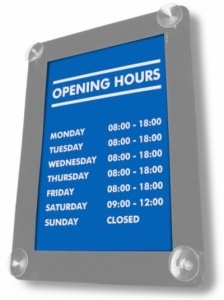 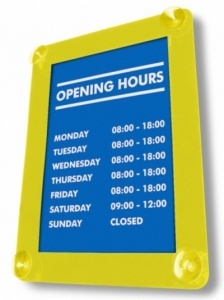 * Ideal for Displaying Your Opening Times, Notices or Promotions. 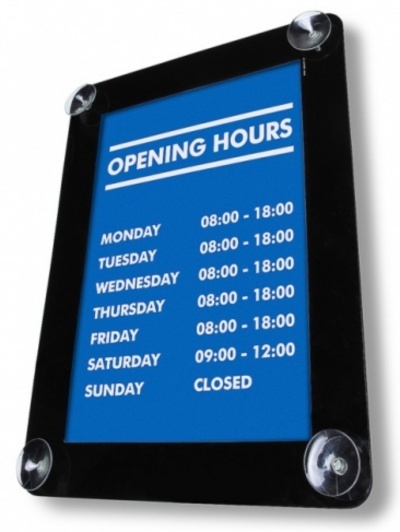 Available in 2 popular sizes and 4 colours our double sided Window Display Poster Holders are ideal for display Opening Times or any promotions that you may have near your entrance areas. 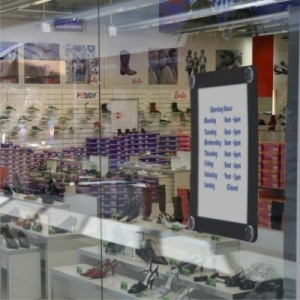 Manufactured from heat resistant polycarbonate they feature stylish radius corners and will fit easily onto glass or any other smooth surface using the suction cups which are in each of the corners. 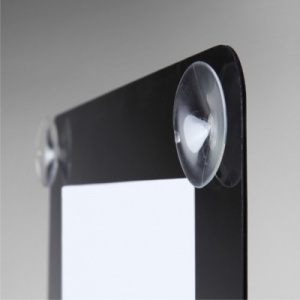 Your printed displays slide in the the side so the holders can be used in either landscape or portrait orientation.